This is for 3 - 5.75 oz bottles with shaker lids of Daniel's Bar-b-q Competition Meat rub. This rub has helped several competition bbq cooking teams win Grand Champion all across the country! This rub has 0 grams of sugar per serving! Gluten Free, Nut Free, Cinnamon Free, No Anti-Caking Agents & No Preservatives! 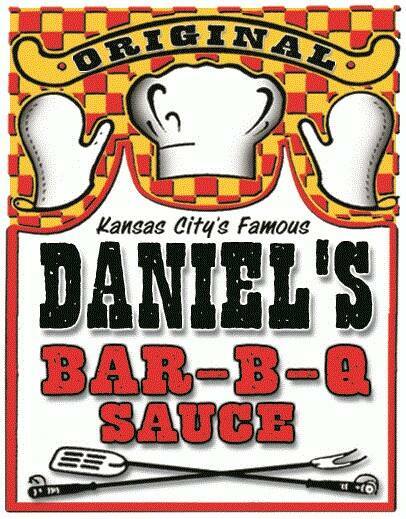 Tell us which store you shop at, and would like to purchase Daniel's Bar-b-q Sauces. Now Available in the Meat Department At Ball's Price Chopper at 50 Hwy and Todd Gearge Road in Lee's Summit Missouri! 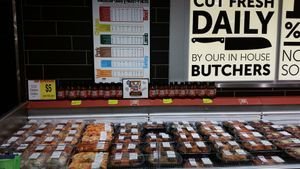 Now you can swing in and pick up some chicken or pork that has already been marinated in our award winning Competition Blend #9 bbq sauce! Stop by and tell the Carl "Thank You" for supporting local businesses.